Comrex did not design the ACCESS to replace existing STL technology. 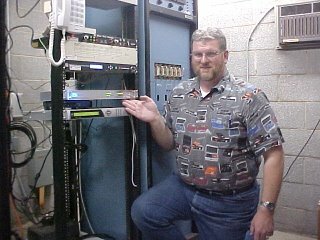 While it was thought that the ACCESS would be exceedingly popular for STL back-up, we really never intended it to be used on the public internet as a primary Studio to Transmitter Link. Especially wirelessly. So imagine our concern... No... Our DISMAY when we learned that of the first run of ACCESS, several pair had been purchased for exactly that usage. When we spoke with the customers and said that we really didn't think the public internet was the appropriate transmission path for an STL!!! THE LIFE BLOOD OF A RADIO STATION!!!!! We were told by one customer, "OK. 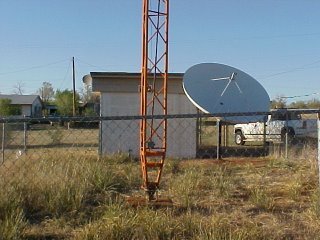 The choice my station has is to use the ACCESS on DSL or to go dark. Do you think my station should go dark?" So what choice did we have. We went back into the "ivory tower of coding miracles" and developed version 1.1, an even more robust version of code. We STILL do not encourage use of the public internet for STL. But in the interest of understanding that you gotta do what you gotta do, we will tell the story of one station who was out of options. Stevan White is a contract engineer based in Amarillo, TX and KDJW 1360 AM (also in Amarillo) is one of his clients. He was given the task of getting KDJW's STL reliably functioning on the ACCESS over wireless internet. Stevan was not displeased with the initial performance with code revision 1.0, but talking with him sparked some ideas in the ACCESS engineering team and so Stevan was the first beta tester of version 1.1. This is what Stevan had to say about this. "As good as the ACCESS worked right out of the box we were having some issues with our ISP that made our "STL" a little less than desirable with occasional dropouts, hiccups and Darth Vader, Jr. sounding coding delay. (They later found and fixed a router problem which made a huge difference in the quality of our connection.) As soon as it was available, (Comrex) sent us the software upgrade via email. We waited a while to do it so we could be sure to have things set up and in place to make the process as smooth as possible. Since we use the Access to send our network audio feed to the studio (satellite dish and receiver are at the transmitter site due to lack of space at the downtown studio) I got set up and ready to go but waited until after the local ID and patched the satellite audio feed directly to the audio processor. The only interruptions we would have during the whole process would be the few seconds to move the XLR connector before and after the process. My A+ certified computer whiz son John, who works with me on a lot of studio and transmitter projects, had the software ready to go on the computer at our home office. After we were "in the clear" he disconnected both Access codecs and began the update process. We reset everything to factory default as the instructions suggested. After reconnecting and rechecking all of our settings, I put the Access back on the air. The whole process, including our double checking and rechecking of everything we could think of, took 55 minutes total. Except for a few seconds of silence while making the switch, we couldn't hear any difference in the quality of the audio! The audio still sounded just as good making the trip to the studio and back as it did direct. This same client is talking about a low power FM project in a small community almost 200 miles away. They want to broadcast the same program material from that location. (I started thinking about using the Access for point to multipoint distribution.) They also wanted to know if they could do all this without a studio there. My reply? If you are an ACCESS user and your codec does not have version 1.1, it may be worth upgrading as it could enhance performance. Or you could wait and upgrade to version 2.0 in mid July. As with most Comrex upgrades, there is no cost to upgrade, so it is worth checking the upgrade page on the Comrex website regularly.